I hope you are having a blessed day. Here it is snowing across the whole of UK so I hope you all are taking great care at work, on the roads as you travel to your homes. Today I just want to share a word with you as we are approaching another powerful weekend here at TKC London. This Friday we have our powerful After Sunset Miracle Service and I know God is going to do something great as we get ready to experience testimonies of Instant healing, restoration and so much more. This Sunday I want you to join with me for the Miracle Frankincense Service as after this weekend I see you successfully crossing over to your point of success. The Bible shares with us how the Lord put all Davids enemies into a deep sleep and there he was able to cross over onto the over side overlooking them. This is how it is going to be for you, yes you will succeed and go far beyond where your enemies or people who have ever doubted you. This is the year for you to reach where you need to be. God has seen how faithful you have been in His house, He has seen your sacrifices, seen your offerings and every seed sown and now is the time for you to be rewarded. 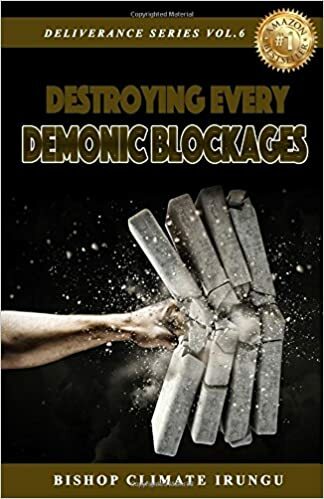 TODAY CLICK NOW YOU CAN GET AHEAD AND ESCAPE & REMOVE EVERY BLOCKAGE! Wednesday 28th February Join Us in our Corporate Fast 5AM – 5PM and Join us at For our Mid-Week Boost Service with Senior Pastor Lungi! Join with us 2nd March for our After Sunset Miracle Healing Service Come and hear powerful instant testimonies! Healing and so much more! This Weekend At The Kingdom Church London! 9AM Prayer Of Silence: Special prayers and meditation of silence. 2PM – 4:30PM Miracle Testimony Service: Come believing God for a quick breakthrough, Personal word of Knowledge? Do you want to face Monday with a High gear, full of energy and power? Then this service is for you! Filled with powerful testimonies! Today Believe In The Power Of Prayer! Read Prophetic Word From Bishop Climate, Read Testimony About The Miracle Pack, Event News & More! THIS WEEK GO FORTH AND PROSPER AS NEW SOLUTIONS ARE COMING YOUR WAY! This Week Every Dry Bones In Your Life Will Turn Into A Miracle! Prophetic Word From Bishop Climate, TKC News & More! Today Activate Your Undiscovered Potential!